The NEW iP501-222 Universal Optical Probes are designed for reading and programming ANSI and IEC electrical power meters. NOW, THERE IS NO NEED TO CARRY 2 OPTICAL PROBES FOR READING OR PROGRAMMING METERS THAT EMPLOY EITHER TYPE OF OPTICAL PORTS. In addition, these new probes incorporate a smaller housing design that makes them even more light-weight but still rugged with their Polycarbonate Glass Fiber Reinforcement material. 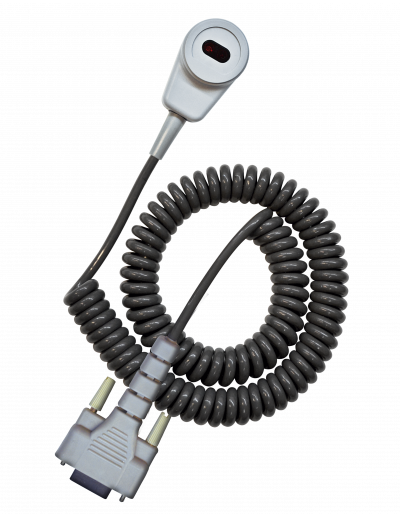 These probes are configured for use with the Honeywell Dolphin 9900 handheld computers. Their optical circuitry supports ANSI C12.18-1996, IEC 62056-21 (1107) as well as General Electric OPTOCOM communications protocols by switching automatically from one to the other depending on the meter type being read. This design feature makes them universally compatible to read virtually all utility meters, registers, and recorders. They obtain their power directly from the handheld computer and it is controlled by the meter reading software. 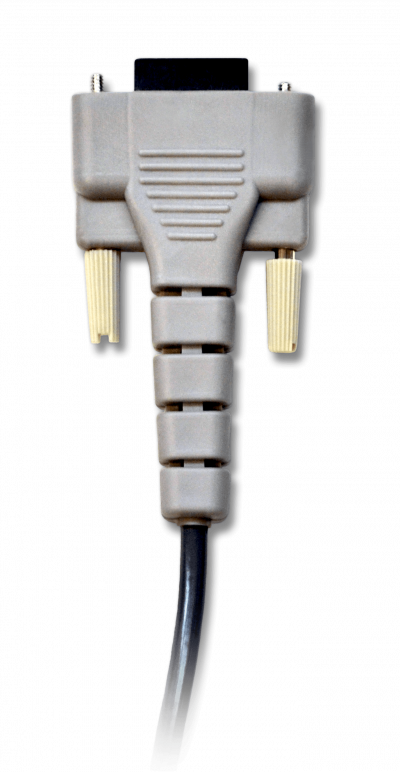 For reading and programming ANSI meters, the optical probe is attached to the meter’s optical port in the standard position (cable facing downwards), and for IEC meters, the probe is attached to the meter’s optical port inverted (cable facing upwards). The NEW iP501-222 Optical Probes solve problems relating to mechanical wear-out due to the demanding environment under which probes are constantly subjected to . We address this problem using the most rugged mechanical and electrical design in the industry. These probes are designed with an almost indestructible Polycarbonate head that contains powerful magnets that ensure a good retention when attached to the meter’s optical port. They are also designed with a high-endurance polyurethane molded cable 18” long that withstands the outside rugged environment. This claim is backed with an aggressive warranty and service policy. Data Rate: Controlled by meter for OPTOCOM interface, 0 to 19,200 baud for PTOCOM meters.